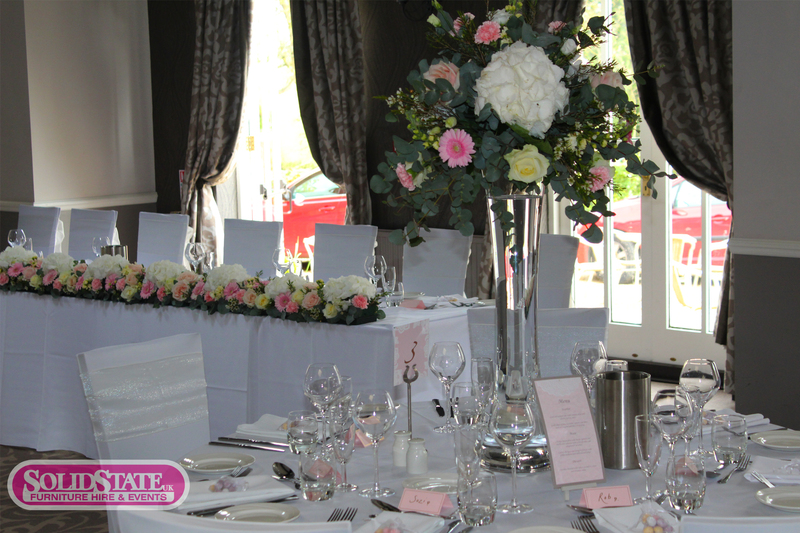 Whether you’re planning an old style rustic wedding with loads of foliage and wood, a modern day white wedding, or a big bold out there wedding; we have a wide range of wedding centerpieces here at Solid State UK to match any of your needs. And if none of them are exactly what you’re looking for we will work with you to specially make them custom for your occasion! If you’re looking for something more traditional this is the best way to go. 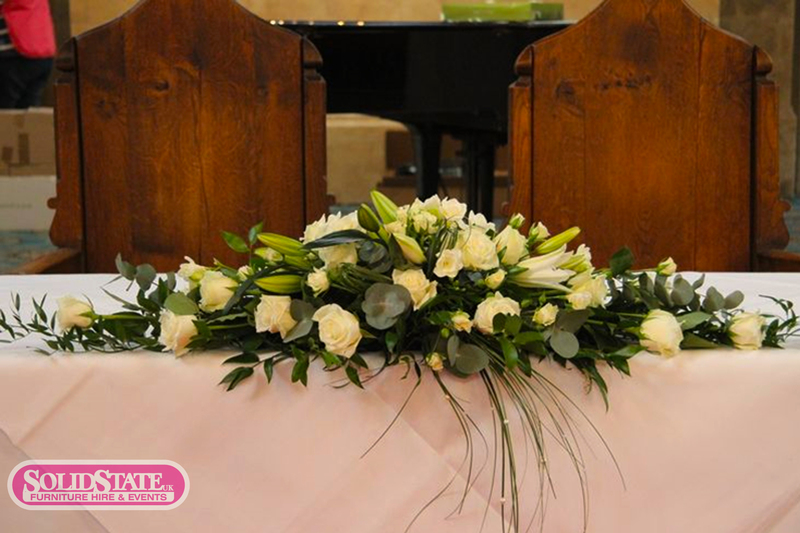 Flowers are always a great centerpiece no matter how they are displayed or arranged. Although flowers are more traditional than many other centerpieces they are also the most versatile and don’t have to be just for traditional weddings! 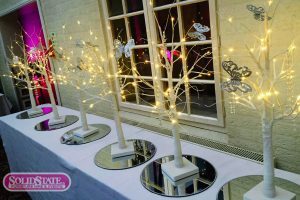 There are so many different types and ways of displaying them that they can be used for almost any style of wedding. We particularly like the above centerpiece as it is big and bold but at the same time it is elegant and raised off the table so that it doesn’t get in the way of your guests whilst they’re seated! If you’ve got an idea we can make it happen! Being different makes your day that more individual to you and more memorable to your guests. It could be as simple as the centerpiece above or as individual as you’d like by including personal names or pictures for example. 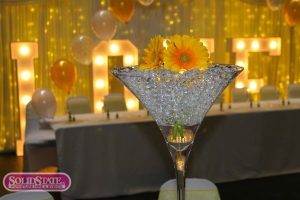 We particularly like the above centerpiece as it would suit almost any style of wedding and is interactive for your guests, unlike conventional centerpieces. Guests, both young and old, can write personal messages on cards and hang them from the tree which gets the guests more involved on your big day! 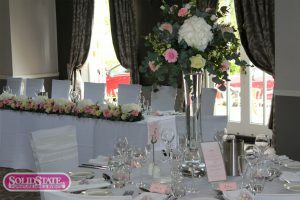 Maybe you’re looking to have a less traditional and more modern wedding, including more bold colours and modern styling. This can go great with a venue that is not so modern and maybe more rustic and wooden such as a cabin or lodge. The contrast in eras works great together to give you the best of both worlds! The bold colours go great with the dark wood and create a unique and bright environment. We really like the above centerpiece as it is both sleek and brightly coloured. 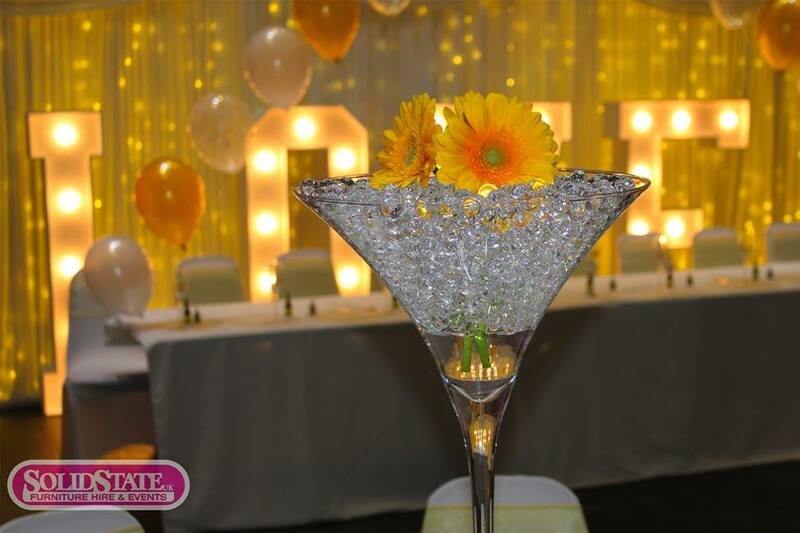 It achieves this by implementing both our glass martini vase and bright flowers together into one to create a stylish design that takes the traditional flower centerpiece into the 21st century.